We’ll admit it — Berkeley is a pretty charming city, with streets full of quirky characters such as our beloved “Hell Yeah” man and our very own Central Park (People’s Park — who couldn’t help but be wrapped up in enchantment?). But even with all of this charisma, we’ve all felt the need to escape now and again, to pop the Berkeley bubble and be a world away, even for just a second. Sorry to be the bearer of bad news, but as magic carpets don’t exist, this task is often difficult — so we at the Clog have found the perfect places for you to escape to so you can taste the world and convince yourself you’ve left Channing Way and Telegraph Avenue far behind you. If you’ve eaten one too many plates of pad thai (although we’re not sure that’s ever something to regret) and you need a detox from the underwhelming lifestyle of a night of homework and microwavable meals, we’re shipping you to the city of angels. You need to escape someplace bad, but mostly boujie, with a splash of healthy living. Your one-way ticket to LAX is coming right up (and by this we mean an Uber to Fourth Street). Download the SoulCycle app and schedule a class. The trainer is also a DJ, and the bumping music and flashing lights will leave you feeling like you’re anywhere but the library. Follow up your fun workout with a visit to Project Juice down the street (for a true taste of LA, we suggest you order the Epic Greens smoothie and some avocado toast). But if you’ve worked up a bigger appetite, we suggest you make a trip to Café Reveille for brunch. The aesthetic pink and striped atmosphere screams Melrose Avenue. We would say grab a cup of coffee because we’re heading to the city that never sleeps, but we feel like we can confidently say we’re pretty used to running on no sleep around these parts as well. 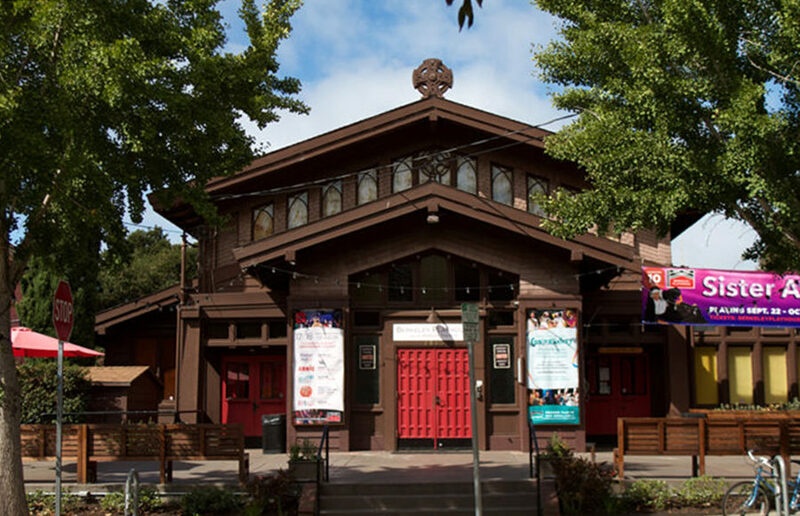 If you’re looking for some Broadway-level drama in your life, head on over to the Berkeley Playhouse. “The Wizard of Oz” is currently playing, and Dorothy may even convince the most wanderlust-plagued of you that there is no place like home. And if you’re looking for a New York slice to go along with that show, look no further than Kono Pizza. Its unique take on a classic favorite — pizza in cone form — may rival any slice you get on the streets of the Big Apple. Maybe it’s because the skyline of Doe Library and the Campanile have us feeling landlocked, or maybe it’s just because we’ve been listening to Chance the Rapper on repeat, but either way, Karl the Fog has us wishing we were in the Windy City. The Berkeley Marina may be no Lake Michigan, but it is a body of water, so we’ll take what we can get. There’s really no better way to feel like you’ve popped the Berkeley bubble than to get out there on the water — a new form of earth under your feet, right? So, consider signing up for Cal Sailing Club to get free lessons and learn how to sail away from your troubles. For all of you country-music lovers (and all of you who claim to hate it but secretly like it — you know who you are), we have a question for you: Are you from Tennessee? Because you’re the only 10 we see! Well, that was cheesy and horrible, but if you actually are from Tennessee or want to escape somewhere with a country flair for a few hours, we have just the places for you. As far as restaurants go, Bourbon Highway is an American-style eatery and bar with Southern-style food (check out its ribs and pulled pork!). And if you needed even more of an incentive to head out to Elmwood, every Thursday at 9 p.m., Bourbon Highway hosts free line-dancing sessions with DJ Platinum. So, go grab your cowboy boots and start kicking up some dust! Imagine that Bears have wings and spread them far and wide, but just remember — as far as you go, there is no place like home!